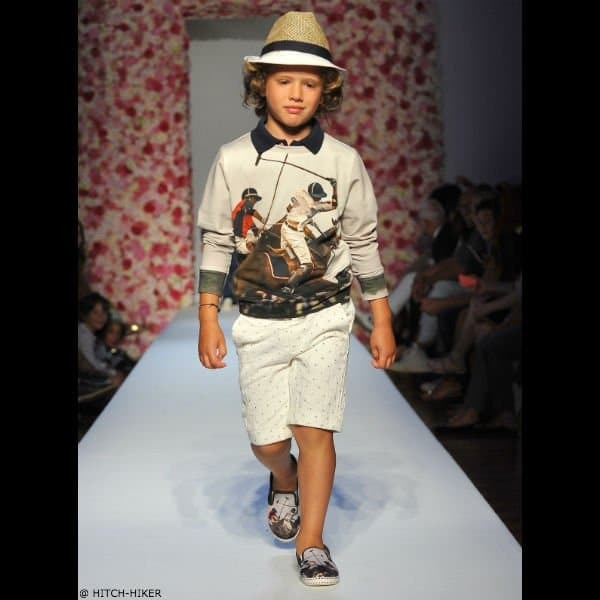 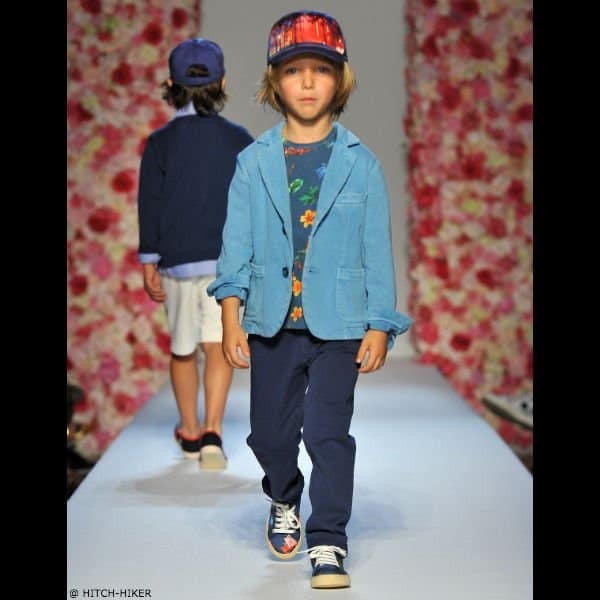 This is a super cute look for boys by Hitch-Hiker featured on the runway at Kids Fashion Week in Italy. 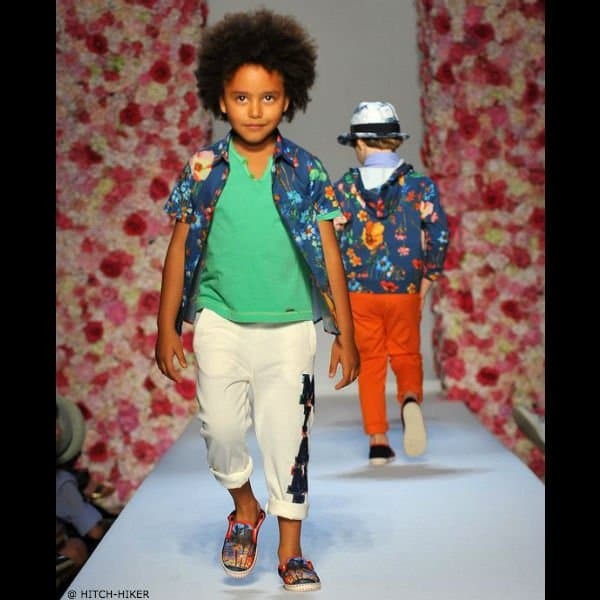 This boys blue, short sleeved shirt in lightweight cotton by Hitch-Hiker has a striking, multi-colored floral print and fastens with small white pearlised logo buttons. 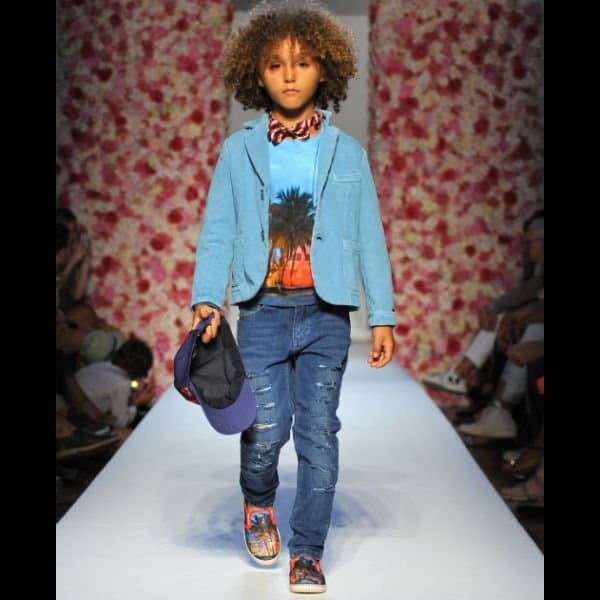 Looks great with a green shirt, white Miami print pants, and Sunset Print Slip on Sneakers.